Day 7: Keep Your Enemies Closer. Being in love with wildlife photography, it’s a bit of a disadvantage to be afraid of spiders bigger than a 1p coin. Everyone says full immersion is the cure but I’d rather just have a mutual agreement not to bother each other. 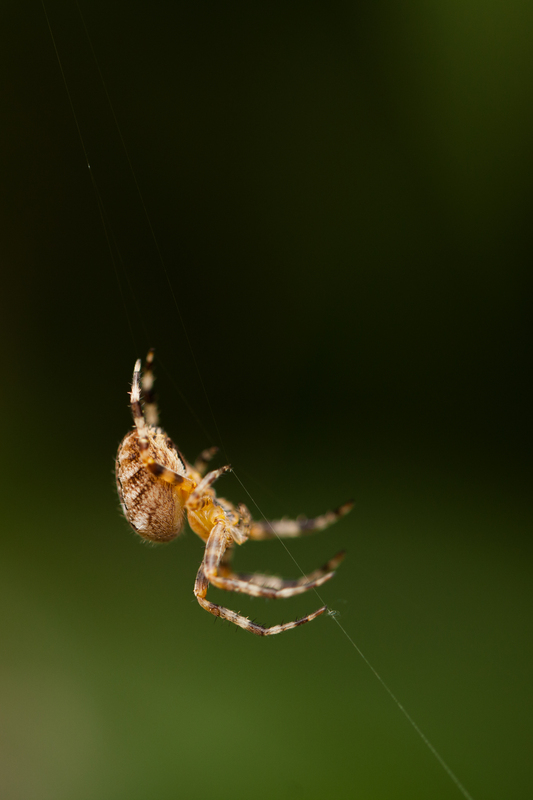 This guy/gal was just chilling on his/her web so I took a photo. The diagonal of the silk composed well with the position of the spider in the frame. Had he/she moved, I wouldn’t have taken the shot, but not because of compositional discrepancies. No, I would’ve probably dropped the camera altogether and ran to my room.